It's always good when you can get an SDO to schedule some BED time on its face-to-face meeting agenda. I think next year we may have to have profile acronyms like N-A-P and H-A-P-P-Y so we can schedule some NAP time and a HAPPY hour. 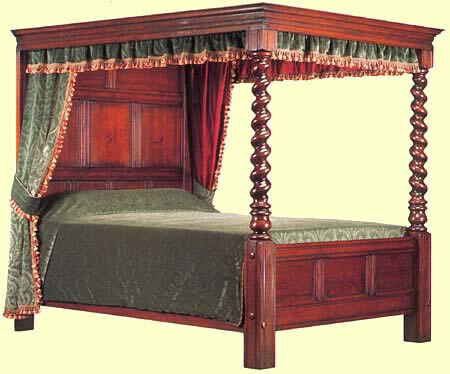 The Bed Management profile is a return to IHE roots of using HL7 Version 2. It makes sense in this case because we are integrating systems that are already using HL7 Version 2 messages to communicate ADT messages. The essential transactions in this profile are the admission notifications (ADT A01), pending admission (ADT A15), and patient movement messages, with a few others thrown in for completeness. The A01 messages are used to communicate that an admission has occured. These messages can go from the Patient Registration system to the EDIS to indicate that a patient has been assigned to an ED Bed, or from a Bed Management System to other systems to indicate that a bed has been assigned in an inpatient or observation or other setting. A tracking system can monitor all of the messages, so as to report on bed status, perform analytics, or produce dashboard, et cetera. Through this profile the Bed Manager is provided with critical information about the kind of bed that is or may be needed for a patient, whether or not the patient needs isolation, and the level of care (acuity) necessary for treatment. The profile has a novel feature, the notion of a heads up message that indicates that an admission is likely, even though it is not yet ordered. This uses the same message structure as the admission order, with a flag that allows the receiver to determine that this is a "heads up" notice rather than a formal admission order. A provider can now indicate that it is highly likely that the patient will need a bed in a particular setting, and when it may be needed. This allows the bed management system to project its needs better, and prioritize allocation of rooms, and ensure that adequate staff is available for patients who will be using the beds. We finished the profile this morning, 30 minutes prior to the end of our allotted time for today, and a day early, so we voted it forward for public comment also a day early. At the same time, we also produced a security considerations section and audit trail messages that are missing from Bed Management's cousin, the IHE Patient Administration Management (PAM) profile from IT Infrastructure. We borrowed heavily from PAM, and the two profiles are designed to be operated with together, but we don't specifically require it.